Jasper Williams Jr. Ministries > About Jasper Williams Jr.
Jasper Williams, Jr.’s magnetic personality, blended with an explosive delivery style, has drawn audiences worldwide for more than three decades to hear his spirit-filled sermons. He has emerged as one of the most influential spiritual leaders of this generation. As Senior Pastor of Salem Bible Church — “One Ministry in Two Locations” — his priority is expansion through evangelism. Jasper Williams, Jr. was born in Memphis, Tennessee on July 22, 1943. He was the first of four children born to the late Rev. Jasper Williams, Sr. and Alice Stewart Williams. He was raised in a devout Christian family environment, with strong moral values. It was these strong and deep rooted values that led him to convert at the tender age of six. Acknowledging his call to the ministry, he began preaching the gospel early in life. He graduated from Morehouse College in Atlanta, Georgia, majoring in sociology with a minor in religion. On Easter Sunday, 1963, at the age of 19, Jasper Williams, Jr. was invited to preach at Salem Baptist Church on Martin Street in Atlanta, Georgia. His plan to return home as the Associate Pastor of his father’s church was interrupted when he accepted the call to pastor Salem in November 1963. With God’s blessing, Pastor Williams, Jr. has made Salem one of the key churches in the growing Baptist network. Pastor Williams, Jr. has involved Salem in several notable social action ministries: a free psychological counseling program, a children’s day care center, the acquisition of property on which an additional edifice was constructed, and the development of a dual-structured, senior citizen high-rise. Grants were received totaling 5.6 million dollars for Phase I and Phase II of the Alice Williams Towers, in honor of his late mother. Pastor Williams, Jr. has served on the Board of numerous service organizations. 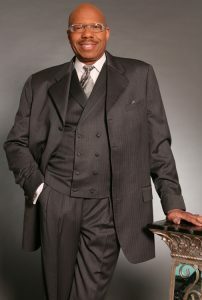 He chaired the Evangelistic Committee’s “Late Night Services” under the auspices of the National Baptist Convention USA. Inc., a position he held for 10 years. He gained notoriety when he relinquished this title to become the “voice of the people”. He spoke about the relationship of Christian consciousness to social evils, which is how he became known as “a man with a heart for the people.” He is also the recipient of many awards and honors, among which are the Rev. C.L. Franklin Masters Award, the NAACP Award, and the Award of Excellence conferred by the Gospel Music Workshop of America. He holds two honorary Doctor of Divinity degrees – one from Miller University and the other from Temple Bible College and Seminary. Pastor Jasper Williams, Jr. is the proud father of two sons, Jasper Williams, III, who pastors The Church in Duluth, GA and Joseph L. Williams, who serves as Pastor with his father and who acknowledged his call to the ministry and preached his first sermon in December 1998.